See the splendour of Australia’s heritage, culture, flora, and fauna in this package enriched in Australia’s steep history. Exclusive to Holidays of Australia & the World. 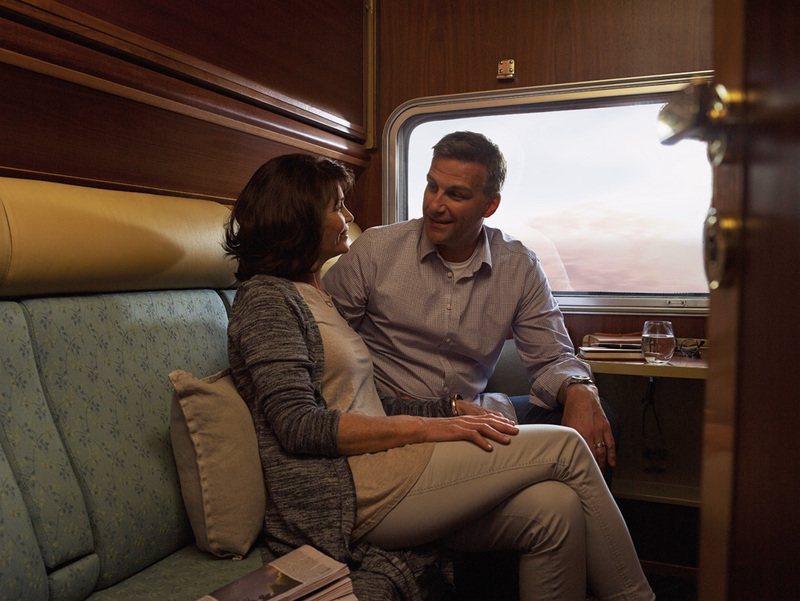 Enjoy the journey through Central Australia from your private cabin onboard The Ghan. Indulge in fresh produce while touring Adelaide. 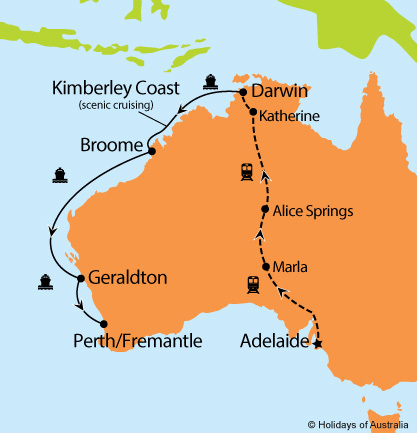 Cruise the Kimberley Coast while relaxing onboard the Sun Princess to Perth. 7 nights aboard Sun Princess from Darwin to Perth with port calls in Kimberley Coast (scenic cruising only), Broome & Geraldton.